Me (on the phone): Lorry mirror? Lorry? You mean ‘lorry’ as in truck? David: Yes, that kind of lorry. It’s just the thing for organs. I have to say I’d never have thought of it. 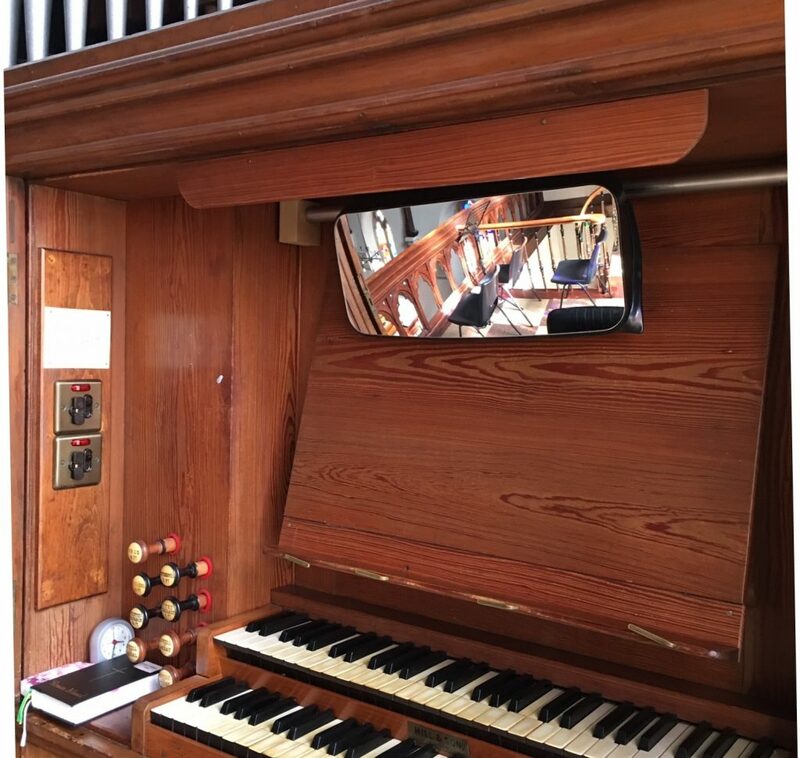 Any mirrors I’ve seen on organs have been smallish, sometimes free-standing things, and I had wondered how such a mirror could be mounted on our Hill. It seemed impossible. But this was David, our organ-builder extraordinaire and the inventor of the incredible organ backrest. When it comes to lateral thinking, there’s no one like him. The mirror had been under discussion for some time. With our choir becoming ever more ambitious, I really needed to be able to see the conductor while accompanying. Up to now playing had been by guess with a quick look backwards at significant moments. It just wasn’t good enough, and having had the go-ahead from our priest, I contacted David for advice. Later that day there is a call from him – can we meet in the church in half an hour? He has been and purchased a lorry mirror. It is huge. He explains that there are new rules for lorries, and mirrors have to be bigger than before. Now he has to go and work things out in among his other commitments. A few days later, I go for a practice and find that the mirror has appeared. It is perfect, having a sort of wide-angle view that takes in the whole gallery. And its horizontal placing makes its lorry-nature not at all apparent. The only drawback is that in the foreground, disconcertingly, I have an incredibly good view of – myself! Only a narcissist can be happy with that situation. Our priest, who approves greatly of the whole setup, dismisses the issue. ‘That’s your problem’ he says. So I’ll just have to live with it. Otherwise, though, it is excellent, and has made an immediate difference to our choir practices for Easter. I still find myself turning round occasionally, quite unnecessarily, but no doubt that will pass. 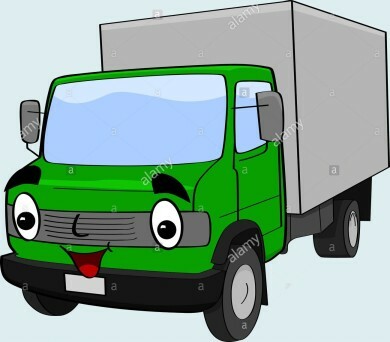 And speaking of passing, every time my husband overtook a lorry on the motorway yesterday, I had a good look at its mirror. A fascinating subject! It is big! I was expecting a selfie!